Happy New Year from the entire IAGB team! New Year is expectedly starting off with a bang! Presently IAGB is putting some final last minute touch ups to its program for the annual mega event - Republic Day Mela 2018 on Jan 27, 2018. A plethora of competitions and wide variety of cultural programs will highlight the annual celebrations! Please visit our Website to become a / an annual / life / corporate member of IAGB or Contact Us if you are interested to volunteer at our upcoming events. India Association of Greater Boston joins the worldwide celebrations of India's 69th Republic Day. 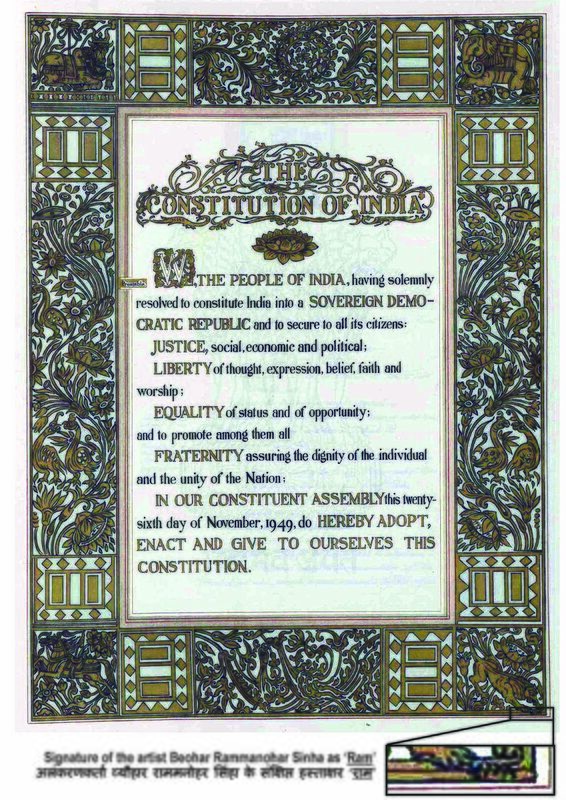 This day honors the day on which the Constitution of India came into affect. India's Republic Day marks the anniversary of the adoption of the Indian constitution. It represents the true spirit of the independent India. Even though India obtained freedom on August 15, 1947, the laws were still based on the modified Colonial Acts. Indian constitution was adopted on November 26, 1949 and the day of January 26 of the following year was chosen as the Republic Day of India, a date specially chosen to coincide with the anniversary of 'Purna Swaraj Diwas' (Full Independence Day). Earlier in 1929, “purna swaraj” was demanded, and the date set for independence was January 26, 1930. And that date was celebrated as the “purna swaraj” day until the Independence in 1947. The adoption of Constitution made India a sovereign, secular and democratic republic, and strengthened in all its glory by a fully functioning constitution. Today, the Indian Constitution is the longest in the world and Republic Day is celebrated with festivities and patriotic fervor across the whole nation. With pride and great zest, IAGB organizes Republic Day (RD) Mela every year and draws a lot of attention across the community. 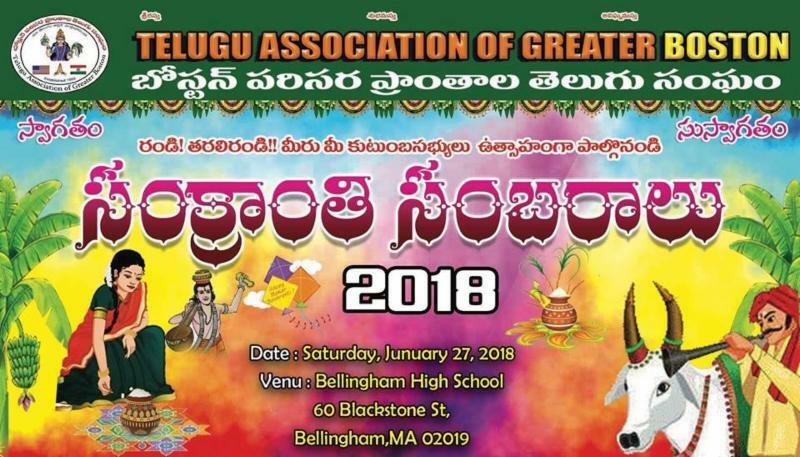 The IAGB team, with a host of volunteers, is in full swing with the preparations for this year’s RD Mela, scheduled on January 27th at Burlington High School. The RD Mela is a unique day-long program featuring multiple competitions and cultural performances. Come with your friends and families, enjoy the cultural show, savor the Indian Cuisine, and celebrate the birth of India’s constitution and freedom! Yet another New Year! Scores of people in the New England area, as all over the world celebrated the dawn of New Year, some more exuberantly than others. The New Year means different things to different people but yet there are many overlaps. Some of the action items around this time of the year are borne out of a collective psychology and the first thing that jumps out is making New Year Resolutions (NYR). NYR are mostly about the ‘Fresh Start’. The resolutions are rarely about perfecting a continuing habit but rather about starting a new one. Me making NYR has been erratic – some years I made them and other years I have simply not. Not surprisingly the focus of NYR has also never been constant (thankfully). In years past when my profession was primarily of a student – my NYR were more to do with readings (especially books beyond the ones in prescribed curriculum) and other academic goals. As time progressed they have as expected gravitated towards fitness and financial goals. In the more recent past I have added a newer strand to the resolutions list. That is about exploring ways to give back to the community. Sense of civic engagement is probably the most realistic of altruistic expression that most common folks can plan on. It is about commitment of one’s precious time towards activities that by intent and design is for the benefit of ‘others’. It would be foolhardy to say that ‘current times’ are the most crucial to be active with respect to our civic responsibilities because from history we can learn that all times are equally important. The Indian diaspora will be celebrating the 69 th Republic Day on January 26 th , 2018. The celebration is a ‘thank you’ to all the millions of folks who did their ‘duty’ of civic engagement in the creation of Free India back in 1947 and a Republic in 1950. Sixty-eight years later, the civic challenges are new and so are the goals and objectives. A Fresh Start call to all the readers who have remained on the sidelines till date to find a way to define and mark their respective role in the community they live in. Culturally, a large majority of the first generation of Indian Americans have been raised with a motto of ‘mind your own business’. Back home in India, the profession of politics and public service were not seen as synonymous but thankfully, it is so in our adopted land. Civic engagement isn’t necessarily restricted to running for the executive offices like that of President / Governor / Mayor or even to the house of Congress but it can be taking baby steps like running for positions within your local towns or volunteering in some specific role with specific responsibilities in nonprofit organizations whose agenda most closely aligns with your personal philosophy and passion. IAGB as an organization has some leverage to help individuals in achieving this aspiration so please contact us at the below given email id if you need any assistance/guidance/support. eNews edition shines SPOTLIGHT on an individual (or a team) who has (have) founded and/or running an organization that impacts positively and significantly on the lives of New England residents. This month we are shining the SPOTLIGHT on Anantha P. Chandrakasan - the Dean of MIT's School of Engineering, and the Vannevar Bush Professor of Electrical Engineering and Computer Science . I AGB: Could you speak about significant (life) factors that led you to be the Dean of Engineering at MIT? Anantha Chandrakasan: My mother, Dr. Gowri Chandrakasan, really inspired my academic career. She was a biochemist and Fulbright scholar. I loved spending time in her lab and learning about her experiments. She taught me about problem solving in a more open-ended fashion, and also about leadership. When I entered graduate school, I knew I wanted to be a professor. My early career was driven by a passion for research. I did research as an undergraduate student in the lab of Professor Robert Brodersen at U.C. Berkeley, and was lucky to be in the right place at the time when energy-efficiency of electronic circuits was just becoming a critical issue. This undergraduate research experience played an important role in getting me excited about electronic circuits – and about academia. Today energy-efficiency of electronics continues be a major challenge in areas such as implantable medical systems. I remain excited about the opportunities posed by low-power design for biomedical applications. If cost-effective, such devices can have major impact in saving and enhancing the quality of life world-wide, and particularly in India. However, my mother inspired more than a passion for research. Along with groundbreaking research contributions, she also impacted society with her social service work. She believed in making a difference. As dean of engineering, I’m empowered to help our talented community make a better world. It is satisfying to facilitate research and entrepreneurial opportunities for some of the brightest faculty, students, and postdocs in the world. Every day I see evidence that these efforts are accelerating scientific growth and the application of knowledge for the betterment of humankind and of the world we live in. I AGB: Can you comment on the collaboration efforts and successes of MIT Engineering with individuals and institutions in India? Anantha Chandrakasan: India is home to world-class talent and activity in engineering schools, research centers, international companies, and startups. The country is also at the front line in having to tackle challenges in economic development, public health, environment, education, and much more. These are all excellent reasons for MIT, and the School of Engineering in particular, to continue and grow the engagement with India. India has a century-old association with MIT, as fascinatingly recounted in Ross Bassett’s The Technological Indian. Currently, a significant part of the MIT–India engagement at the student level occurs through the MIT International Science and Technology Initiatives (MISTI) program. MISTI-India enables our students to intern and conduct research in India, and inspires them and their faculty mentors to form and sustain innovative collaborations. MISTI–India also develops seminars, workshops, conferences, and other events in India and at MIT in order to build bridges in education, entrepreneurship, and technology. In addition, the MIT Tata Center has presented our students with unique opportunities to make an impact in India. Faculty from the School of Engineering are very involved in and supportive of these activities. I will continue to encourage our students to pursue sought-after internships in India, in order to develop long-term connections in a country that is capable of providing a wealth of extraordinary experiences. I also look forward to new strategic collaborations on education and research. I AGB: What specific programs and efforts is MIT contributing towards increasing representation from women and minorities across the board in the field of Engineering? 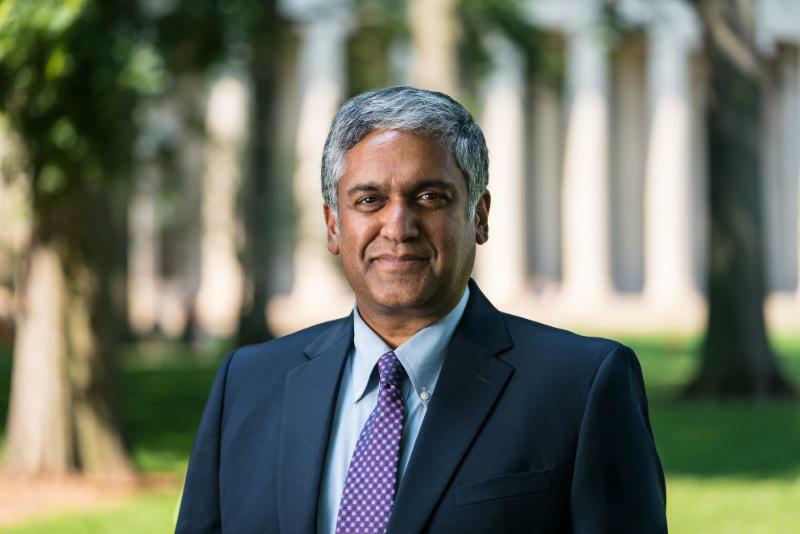 Anantha Chandrakasan: The advancement of diversity and inclusion is among my priorities as dean. Women constitute 46 percent of the undergraduate class at MIT . Gender diversity, however, does not extend across the board. The percentage of women declines significantly at the graduate level and within tenure-track faculty in some engineering departments. The MIT School of Engineering is committed to proactively expanding the pipeline of women interested in becoming faculty or in pursuing research careers in industry. Quite often we have to compete with industry positions for the top graduating students, and that is a challenge because we’re starting from a smaller pool of potential candidates. I intend to develop and build on existing strategic programs. Let me give you an example. Five years ago, I co-founded a program in our electrical engineering and computer science department called Rising Stars in EECS. It helps women at the doctoral and postdoctoral level build lasting connections that could open doors for collaborations, and in many cases gives them the impetus and confidence to seriously consider careers in academia. The associated two-day workshop addresses subjects like landing a faculty job, gaining tenure, and building a career network. Today Rising Stars is offered by MIT’s departments of Civil and Environmental Engineering, Nuclear Science and Engineering, and Physics, as well as its Institute for Medical Engineering and Science. This year, the Rising Stars in Biomedical workshop brought together top female and under-represented minority postdocs and senior graduate students. I would like every single engineering department to be involved in the program, and to possibly create a Rising Stars for undergraduate students. I AGB: Is there a situation or experience you have had which was tough and painful at that moment in time but because of that moment you have reached your current destination? Anantha Chandrakasan: One experience that comes to mind is MIT’s rejection of my graduate school application. I returned to U.C. Berkeley for my master’s and doctoral degrees in electrical engineering and computer science. By so doing, I earned an incredible opportunity to do work through to my PhD with Professor Brodersen, an exceptional and invaluable mentor. Right after graduating with my PhD, I was hired by MIT as a faculty member. I often mention this when encouraging students who may not have made it in to graduate studies at MIT, pointing out that there are many routes to accomplishment and success, and some may lead them back to MIT later. I AGB: Engineers as innovators vs. Engineers as worker bees. What are your thoughts on this issue in regards to Engineering graduates from India? Anantha Chandrakasan: I believe more universities in India should give students the opportunity to translate their ideas to implementation through entrepreneurship and startups. One model that comes to mind is The Engine, a new accelerator launched by MIT last fall to support startup companies working on scientific and technological innovation with the potential for transformative societal impact. It was designed to enhance the local tech ecosystem while serving the needs of faculty, student, and alumni entrepreneurs. I also think it’s essential to expose students to open-ended problems early on by giving them more opportunities to deeply engage in research during their undergraduate experience. Students will jump at such chances. For instance, as a department head, I created a year-long independent research program for students. They loved really diving into lab work. Within a few years, the program expanded across the engineering school. I AGB: What advice do you have for middle and high school children who have plans to pursue studies in engineering? Anantha Chandrakasan: When I spent time hanging out in my mother’s lab, I developed a passion for open-ended problem solving. Develop the capacity to think in new ways by pursuing difficult problems that intrigue you. Look for societal issues that need addressing, and then ask tough questions and engineer solutions. Draw on innovative resources and be persistent. Think big. I particularly think that computing is going to be important in virtually every discipline. It is important to get exposed to computational thinking from an early stage. I AGB: What are your hobbies and interests? What’s your favorite pastime? What’s your guilty pleasure? Anantha Chandrakasan: I am a huge fan of the San Francisco 49ers and still passionately follow them. Although they have not won a Super Bowl recently, I have followed and watched almost all of the games since I moved to Boston in 1994. And of course, I always enjoy a good Bollywood movie! Kids: Elocution, Storytelling, Science Quiz, Geography Bee, Trivia Quiz. Essay Writing**** Adults: Skit Enactment **** Mixed Ages: Art, Chess, Carrom, Poetry Writing, Photography. The competitions will run in parallel from 1 pm to 5 pm. The cultural performances will begin at 5 pm. 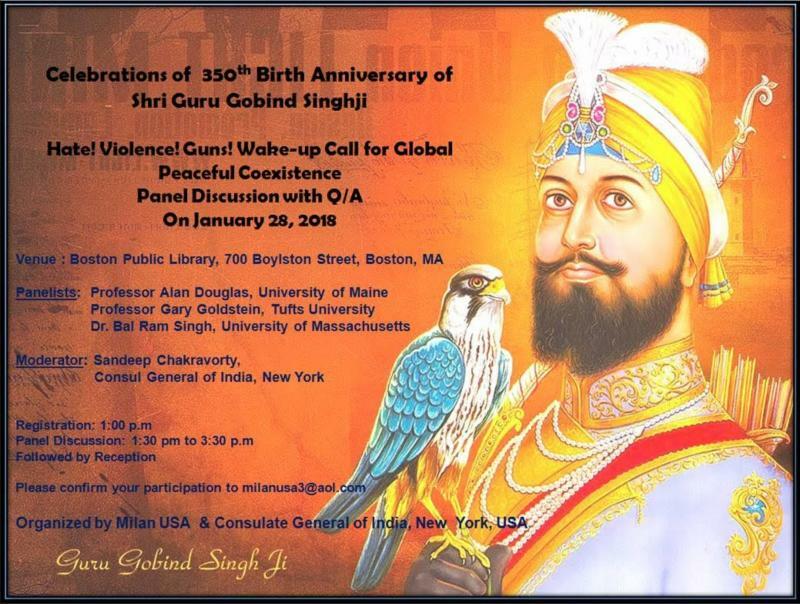 IAGB is your community organization and the IAGB RD Mela is a free event , open for all to attend. 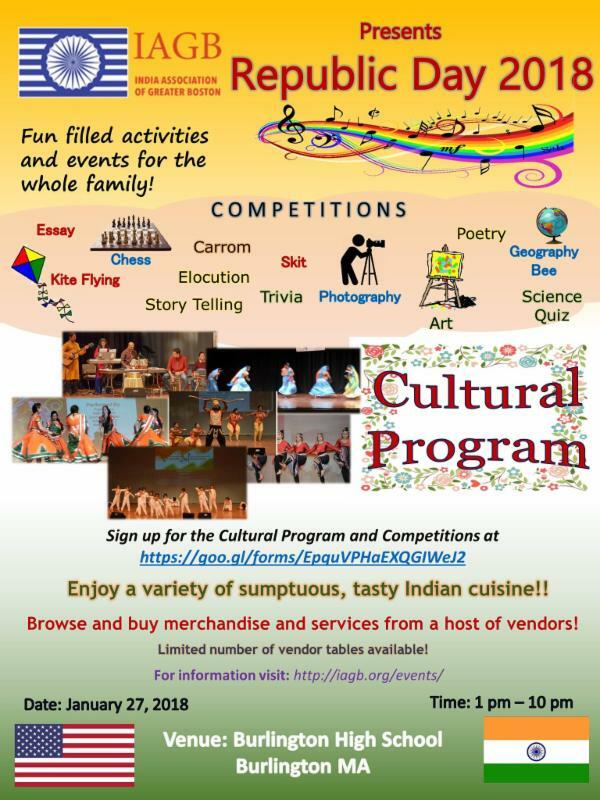 C ome with your friends and families, meet the various vendors/exhibitors from the area, enjoy the cultural show from the talented performers of New England and savor delicious Indian cuisine...all in all, a great way to celebrate the warmth of Indian culture on a cold winter day. In partnership with Indian Circle for Caring USA, Inc. (ICC), IAGB will organize a ‘living will and health-care proxy’ workshop. This workshop will be organized in up to three locations, including Chelmsford, Cambridge and metrowest. Attendance is free for members, but seating is limited. The workshop will inform, educate and provide the documents to enable you to prepare your own documents. Sign up details will be shared soon. If you have any questions, please send an email at iagb@iagb.org . IAGB led a donation drive for Cradles to Crayons. We shared 42 Well Wish Cards, over 40 clothing items, many new toys, boards games, baby items and many books and a cash donation of $263. IAGB thanks everyone who braved the weather and joined us with their active participation in this Donation drive. Voting on the new IAGB Constitution was concluded on December 9, 2017. The revised Constitution can be found on the IAGB website. 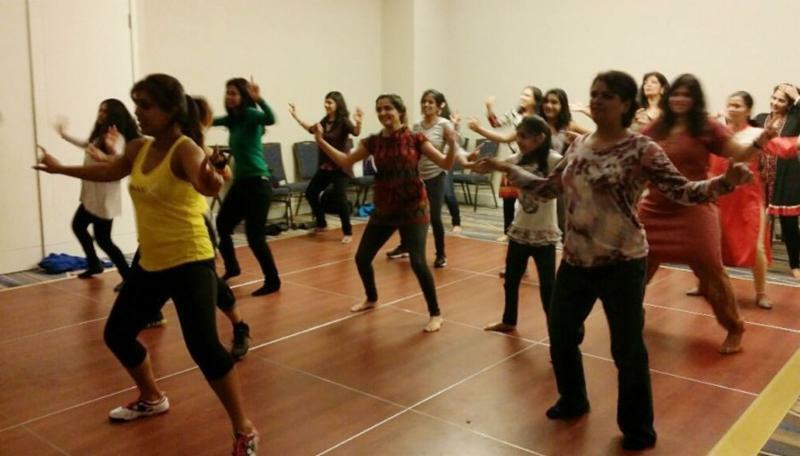 The India Conference is one of the largest student-run conferences focusing on India in the USA. It is hosted at the Harvard Business School and Harvard Kennedy School by the graduate students of Harvard University. The conference will bring together business leaders, entertainment professionals, government officials, philanthropists, and many other leaders to engage in a conversation about India’s path to global leadership. The 15th edition of the conference will be held on February 10-11, 2018 in Boston. Sixth annual Health, Fitness & Wellness Expo 2018, the largest South Asian health fair in North America, will be held on March 4, 2018. The expo is produced by The Mishra Group, in collaboration with INDIA New England News, INE MultiMedia, and IndUS Business Journal. The day-long expo is free to all attendees. For more information or to register for free, please click here . As in the past, Health Expo this year will focus on modern medicine, yoga, meditation, alternative medicine, physical fitness, beauty, anti-aging, and from onsite exercise training to keeping fit with Bollywood dancing and numerous workshops.